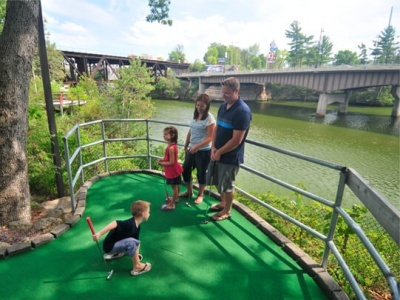 Timber Falls Miniature Golf is an exciting course that will entertain all ages! Our courses are challenging enough for adults yet enjoyable for children…This is not your average miniature golf course! 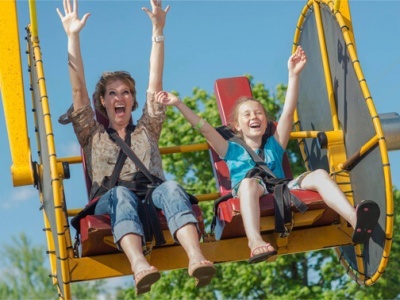 Find us at the intersection of Stand Rock Road and Broadway, at the Wisconsin River Bridge, just minutes walking distance from beautiful Downtown Wisconsin Dells. 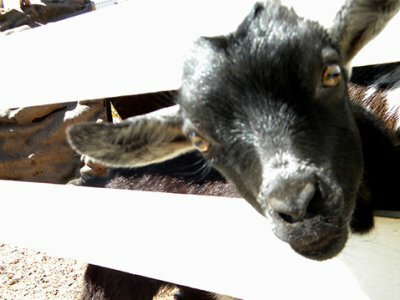 We also have a small petting zoo, and a large picnic pavilion, that overlooks the park, and is perfect for large gatherings. Bring your own picnic and stay for the day! 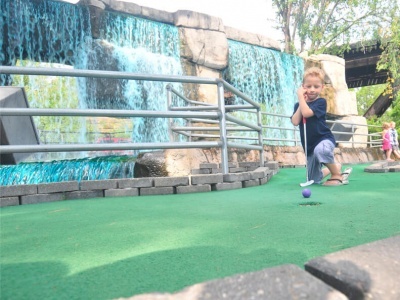 72 HOLES OF MINIATURE GOLF, TAKE A SWING TODAY!